About: Karnataka Post Graduate Common Entrance Test (Karnataka PGCET) is a state level entrance examination conducted to get admission in various postgraduate courses in Karnataka. Authority: Karnataka Examination Authority (KEA) Government of Karnataka conducts PGCET for admission to Government seats as well as for Management Quota seats. Courses Offered: Through Karnataka PGCET 2019 ME, M.Tech, MCA, MBA, M.Arch courses are offered in colleges/ universities in Karnataka. Level: Karnataka PGCET is a state-level entrance examination for admission in universities/ colleges in Karnataka. Frequency: This examination is conducted once every academic year by KEA. Marks: The question paper will be a total of 100 marks and each correct answer will be given 1 mark and there are no negative marks. Note: There is no need to attend the Karnataka PGCET if the candidate is qualified in GATE 2019. Admit Card: Admit Card will be available once the candidate has registered successfully and will be available from 24th June 2019 and the candidates should carry their Admit Card to the Exam Centre compulsorily. Exam Date: Karnataka PGCET 2019 will commence on 1st July 2019 through offline mode. Result: Results will be declared on the official website on 19th August 2019. Qualifications: To get qualified in this exam the candidates should have an Under-Graduate Degree from any College/ Universities in India or Abroad. SC/ ST and OBC candidates they have to score more than 40 percentile. Work Experience: The work experience must be at least 3 years as on 31st July 2019 to satisfy the eligibility. Topics: Candidates who are applying for the exam need to thoroughly prepare all the major topics which they have learned at their undergraduate level. Stream: The Karnataka PGCET Syllabus will be different for each and every stream who are attempting the exam. Note: Candidates can also refer the books such as Karnataka PGCET ME/ M.Tech Entrance Test Computer Science Engineering by Chandresh Agrawal, Karnataka PGCET MBA Entrance Test by Chandresh Agrawal, How To Prepare For The Karnataka PGCET MCA Entrance Test Study Package by Chandresh Agrawal and much more for the exam. Sections: The exam question paper is divided into two sections. Each of the paper is designed to test the knowledge of candidates in their subject specialization. Question & Duration: The questions will be of objective MCQ's and time given to complete the test will be 2 Hours 30Minutes i.e. 150 Minutes. Marks: The question paper will be 100 marks in total, each and every answer will be given 1 mark and there is no negative marking in the exam. Mode of payment: Candidates can pay the Registration Fee either through online or offline mode. Online payment: Candidates can make their payment using a Debit/ Credit Card or Net Banking and should take a printout of the receipt for further process. Documents: Required documents for the Application Form should be scanned and uploaded in the given format to complete the registration. Eligibility: Candidates must fulfil the Eligibility Criteria, before filling the Application Form. Separate Form: If candidates are applying for more than one exam then they have to fill up separate Application Forms for each exam. Application Form Details: Candidates should fill the necessary details which have been asked in the form such as Personal, Academic, Contact, Payment details. Registration Fee: Candidates should pay a Registration Fee of INR 650 for General category and INR 500 for Reserved category. Choice of Centre: Based on their preferences, Candidates have to choose their own Exam Centres while filling the Application Form. Locations: Karnataka PGCET Exam Centre is organized in 12 cities across Karnataka. Change of Centre: Exam Centre once selected by the candidate cannot be changed under any circumstances. Mode: Karnataka PGCET Admit Card is available online from 24th June 2019 on the official website. Postal: Admit Card for Karnataka PGCET 2019 will neither be dispatched nor be sent via email or post or courier to any candidate under any circumstances. Reference: Until the entire admission procedure gets complete, candidates are advised to preserve a copy of the Admit Card for the future reference. Results Date: Karnataka PGCET Results are announced by the conducting authority on the official website on 19th August 2019. Answer Keys: Karnataka PGCET Answer key will be released within 3 days of conducting the exam by the authorities of the state. Students can use this answer key to estimate a rough score by cross-checking their answers with it. Merit List: The merit list will be prepared separately for MBA, MCA, ME / M.Tech / M.Arch. PGCET Merit list will be solely be based on the marks obtained in the written exam i.e. Karnataka Post Graduate Common Entrance Test. Counseling Date: Karnataka PGCET Counselling process is expected to be conducted on 2nd September 2019. Mode: KEA conducts the counselling both in online and offline modes. Stages: There are five stages in the counselling process which are the Online Registration, Verification of Documents, Filling of Preference Form, Seat Allotment, and Reporting to the Alloted College. 18th Cross, Sampige Road, Malleshwaram West, Bengaluru, Karnataka 560012. Q: What is the required eligibility for PGCET 2019? Eligibility criteria is different for MCA, MBA, M.Tech and M.Arch programmes. Please go through the eligibility section for complete information. Q: What is the mode of the exam? PGCET exam will be conducted in the offline mode. Q: What is the exam pattern for PGCET? PGCET exam pattern is different for MCA, MBA, M.Tech and M.Arch programmes. Please go through the exam pattern section for complete information. Q: Is there any negative marking? Q: When can I avail the admit card? Candidates can obtain the admit card from 24th June 2019 onwards. PGCET (Karnataka Post Graduate Common Entrance Test) is a state level entrance examination conducted by Karnataka Education Authority for candidates to get admission in various postgraduate courses in Karnataka. Q: From when can I avail the PGCET application form? Q: Can I pay the application fee online? No, application fee can only be paid through the bank challan provided. Q: What is the application fee? The application fee for General and OBC candidates is Rs 650 and it is Rs 500 for SC/ST candidates. Q: What is the syllabus for PGCET? Candidates should prepare on Graduate level topics to appear for PGCET. Q: What is the frequency of the exam? Q: I am qualified in GATE 2019, do I need to attend in PGCET? Q: Is there any descriptive test in PGCET? No, only objective type questions will be asked. Q: What is the mode of the examination? Karnataka PGCET Application fee: The Initiation of online Karnataka PGCET 2019 application fee submission is on May 25th, 2019. Karnataka PGCET Payment deadline: The payment deadline for the Karnataka PGCET 2019 exam is June 10th, 2019. 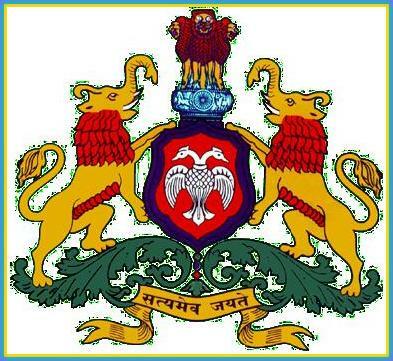 Karnataka PGCET Admit Card download: The Karnataka PGCET 2019 admit card can be downloaded on 24th June 2019. Karnataka PGCET Exam date: The Karnataka PGCET 2019 exam will be on 1st July 2019. Karnataka PGCET Result date: The Karnataka PGCET 2019 result will be announced on 19th August 2019. Karnataka PGCET Counselling: The Karnataka PGCET 2019 counselling will commence on 2nd September 2019. Eligibility criteria for full-time M.Tech/M.Arch courses: Candidates should have completed 10+2 and should be a degree holder in the architecture/engineering stream. The degree should be recognised by the state authority. Candidates should have scored 50% at the graduate level (45% for SC, ST, OBC and physically handicapped category candidates). Eligibility criteria for part-time M.Tech/M.Arch courses: Candidates should have completed 10+2 and should be a degree holder in the architecture/engineering stream The degree should be recognised by the state authority. Candidates should have scored 50% at the graduate level (45% for SC, ST, OBC and physically handicapped category candidates). Candidates should be employed in an organisation which is not farther than 40 kilometres from the college. Candidates should have worked for at least 3 years as on July 31st, 2019 to be eligible to apply for the exam. Eligibility criteria for full-time MBA course: Candidates should have completed 10+2 and should be a degree holder in the architecture/engineering stream. The degree should be recognised by the state authority. Candidates should have scored 50% at the graduate level (45% for SC, ST, OBC and physically handicapped category candidates). Eligibility criteria for part-time MBA course: Candidates should have completed 10+2 and should be a degree holder in the architecture/engineering stream. The degree should be recognised by the state authority. Candidates should have scored 50% at the graduate level (45% for SC, ST, OBC and physically handicapped category candidates). Candidates should be employed in an organisation which is not farther than 40 kilometres from the college. Candidates should have worked for at least 3 years as on July 31st, 2019 to be eligible to apply for the exam. Eligibility criteria for MCA courses: Candidates should have completed 10+2 and should be a degree holder in the architecture/engineering stream. The degree should be recognised by the state authority. Candidates should have scored 50% at the graduate level (45% for SC, ST, OBC and physically handicapped category candidates). Candidates should have studied Mathematics, Statistics, Computer Science, Computer Applications, Business Maths, Computer Programming or Business Statistics as one of his/her optional subjects. Karnataka PGCET application form: The Karnataka PGCET 2019 application form will be available on the official website. Details: Candidates must fill his/her residential, contact and other details. Candidates must mention if they are a Karnataka native or otherwise. Candidates will receive an SMS and email with their password and login ID. Candidates must also enter their GATE score (if relevant). Photograph and signature to be uploaded: Candidates will need to upload a scanned passport size photograph in color and not older than six months. They also need to upload a scanned copy of their signature and left thumb impression. Candidates have to take a print out of the application form after filling the form. Candidates have to fill up separate application forms if they wish to apply for more than one course. Date: Karnataka PGCET 2019 application forms will be available from 13th May 2019 on the official website. Mode of payment: Candidates can pay the Karnataka PGCET 2019 application fees either through online or offline mode. Online payment: The fee payment can be made using a debit/credit card or net banking. Take a print out of the receipt. Offline payment: The fee payment can be made via cash for the value as mentioned at any State Bank of Mysore. Candidates must print the E-challan and make the payment physically. Counselling process requirements: Candidates must take a copy of the application form and affix a photograph. Stamp their left thumb impression and sign on the same. This is to be produced during counselling. Application fee: The application fee for General/OBC candidates is INR 600 and the application fee for the SC/ST category candidates is INR 500. Date: Candidates can download the Karnataka PGCET admit card on from the official website on 24th June 2019. Acronym: The Karnataka PGCET 2019 admit card is also known as KEA Karnataka PGCET Admission Ticket. Proof: The Karnataka PGCET 2019 admit card is issued as an identity proof. Candidates are required to carry one valid Identity card with them along with the admit card. A4 size: The admit card must be printed on an A4 size paper. Credentials: Candidates can enter their Karnataka PGCET application number, registration ID and password to access the admit card. Number of questions: There will be a total of 75 questions for the Karnataka PGCET 2019 exam. Exam Mode: The Karnataka PGCET 2019 exam will be conducted in Offline mode. Type of questions: The Karnataka PGCET 2019 exam will contain objective type questions. Medium: The Karnataka PGCET 2019 exam will be in English. Duration: The Karnataka PGCET 2019 exam will be for a duration of 2.5 hours. Sections: The Karnataka PGCET 2019 exam will have two sections. Mark allocation: Part 1 will contain 50 MCQs of 1 mark each and Part 2 will contain 25 MCQs for 2 marks each. Maximum Marks: The Karnataka PGCET 2019 exam will be conducted for 100 marks. Karnataka PGCET 2019 Syllabus for Civil Engineering: Elements of Civil Engineering & Strength of Materials, Building Engineering Science, Surveying, Fluid s Mechanics, Structures, Geotechnical Engineering, Water Supply and Sanitary Engineering, Transportation Engineering, Hydrology and Irrigation. Karnataka PGCET 2019 Syllabus for Chemical Engineering: Process Calculations, Fluid Mechanics, Mechanical Operations, Thermodynamics, Heat Transfer, Mass Transfer, Reaction Kinetics, Process Control, Pollution Control Engineering and Process Industries. Karnataka PGCET 2019 Syllabus for Computer Science and Engineering: Engineering Mathematics, Data Structures and Algorithms, Logic Design and Computer Organization, Formal Languages and Automata Theory, System software, Operating Systems, Databases, Computer networks and Web technologies. Karnataka PGCET 2019 Syllabus for Environmental Engineering: Environmental Chemistry, Biology, and Ecology, Microbiology, Ecology, Water Supply and Treatment, Wastewater and Treatment, Solid and Hazardous Wastes Management, Atmospheric Pollution and Control, Transport Processes and Water Quality Assessment and Environmental Impact Assessment. Karnataka PGCET 2019 Syllabus for Textile Technology: Textile Fibres, Yarn Manufacture, Fabric Manufacture Winding, Unconventional Weaving Machine, Non Wovens, Chemical Processing Of Textiles Pre-process, Finishing, Textile Testing Fibres, Silk Technology Cocoons, Silk Throwing, Weaving Industry, Spun Silk Industry, Processing Industry, Fabric Structure and Fashion Design and Garment Technology. Karnataka PGCET 2019 Syllabus for Electrical Sciences: Engineering Mathematics, Electric Circuits & Fields, Analog & Digital Electronics: Analog Electronics, Control Systems and Microprocessors. Karnataka PGCET 2019 Syllabus for Mechanical Engineering: Engineering Mathematics, Engineering Materials, Engineering Mechanics, Strength Of Materials, Fluid Mechanics, Thermodynamics, Theory Of Machines, Design Of Machine Elements, Production Engineering and Industrial Engineering And Management. of Contemporary Architecture, Planning Theory and Techniques of planning. Karnataka PGCET 2019 syllabus for Polymer Science and Technology: Fluid mechanics and statics, Chemical process calculations, Chemical engineering thermodynamics, Heat and mass transfer, Polymer science, Polymerization kinetics, Processing Technology and Polymer manufacturing. Karnataka PGCET 2019 result date: The Karnataka PGCET result will be announced on 19th August 2019 and will be available on the official website. Result procedure: Candidates need to go to the official website and click on the results tab. They have to enter their Karnataka PGCET application number and click on "Submit" to view the Karnataka PGCET 2019 results. Stages: The Karnataka PGCET 2019 counselling process starts with the Option Entry round, Seat allotment round and ends with the Cut-off round. Documents: Candidates are required to bring a print out of the application form, Original Copy of the Fee Challan, Admit Card, 10th Standard or equivalent marks card, 12th Standard or equivalent marks card, Degree Marks Card, Degree Certificate and Study Certificate. The eligibility criteria for admission in RCASC was to have a cutoff ranking within 500 in Karnataka PGCET. As it was a government seat the half amount had to be paid at the education board and the other half in the form of DD in the college name. They grant you permission to participate in other college fests by providing attendance. There are not a lot of sports facilities. There are fewer courses provided for career development. There is no proper auditorium, have to approach sister institutions of RCASC for the same. Eligibility criteria is a four-year full-time degree course from a recognized university. I had written VTU PGCET to get into M.Tech at Dayananda Sagar College of Engineering, [DSCE] Bangalore. Cutoffs depend on the PGCET Rank and number of seats available. They will consider the PGCET or GATE exam course, if the student got the good score in Gate, a student will get the stipend as well. I had joined through PGCET exam and i am pursuing MBA here and inside the college, there is a good campus and friendly faculty. Karnataka PGCET for MBA and KCET for BE. The eligibility criteria is minimum 50% in UG. Followed by Personal Interview and admission. One has to complete b.tech in order to get the admission into the college and one has to take PGCET entrance exam in order to get admission. I had taken the PGCET examination and scored 189th ranks. I was given a choice to choose the best college and chose this. Also had written my KMAT and scored 99.77%. Typically the college fills up by around 1000 ranks in PGCET. I want to know that if PGCET has a negative marking ? There is no negative marking in PGCET. Click here to check other details about the exam pattern. Can a non Karnataka student apply for PGCET exam? The candidates from other states can also appear for PGCET. Click here to know about PGCET Eligibility criteria. I am from Kerela & I don't have a Karnataka residency certificate nor am I a domicile of the state. I am a Graduate in Computer Engineering. Will I be able to apply for PGCET? No, you cannot apply for Karnataka PGCET. Only individuals who are a resident of Karnataka or are a Domicile of Karnataka are eligible to apply for Karnataka PGCET. I have been studying in Karnataka for the past 5 years. So, am I eligible to take up PGCET? Yes, you are eligible for Karnataka PGCET. Completed a three-year graduate degree after completion of 10+2, in any stream. The degree will have to be recognised by the state authority. The marks required at graduation level for all candidates is 50 per cent. The candidate must have compulsorily studied Maths/Stats/Computer Science/Computer Applications/Business Maths, Computer Programming/Business Statistics as one of his/her optional subjects to satisfy the Eligibility Criteria. For candidates of scheduled caste, scheduled tribe, other backwards classes and physically handicapped categories the requisite marks is set at 45 per cent to satisfy eligibilty criteria. What all topics come under Mathematics for Karnataka PGCET Computer Engineering Test? Mathematical Logic: Propositional Logic, First Order Logic. Probability: Conditional Probability, Mean, Median, Mode and Standard Deviation, Random Variables, Distributions, Uniform, Normal, Exponential, Poisson, Binomial. Set Theory & Algebra: Sets, Relations, Functions, Groups, Partial Orders, Lattice, Boolean Algebra. Combinatorics: Permutations, Combinations, Counting, Summation, Generating functions, Recurrence relations, Asymptotic. If I attempt the PGCET exam. Will I get a MCA seat? Yes, the candidate will get a MCA seat as it is one of the courses offered by the Authority. Is the PGCET exam a state-backed exam? Yes, the Karnataka PGCET exam is a state-backed entrance exam. Does the authority offer a MCA course? Yes, the Board or Authority offers a MCA course. Why is the Karnataka PGCET exam conducted? The Karnataka PGCET exam is conducted for candidates who are seeking admissions into MCA, MBA and M.E/M.Tech/M. Arch courses in Karnataka. Can you give me a brief about the Karnataka PGCET exam? The Post Graduate Entrance Test is also known as Karnataka PGCET. It is a state-backed, national level entrance test. It is conducted for candidates who are seeking admissions into MCA, MBA and M.E/M.Tech/M. Arch courses in Karnataka. The exam is conducted by the Karnataka Examination Authority. The candidates who have already qualified in GATE need not appear for the exam. The candidates who have not qualified in GATE must appear for the exam to avail admissions.